We offer a range of solutions and services designed to help you achieve your campaign goals. 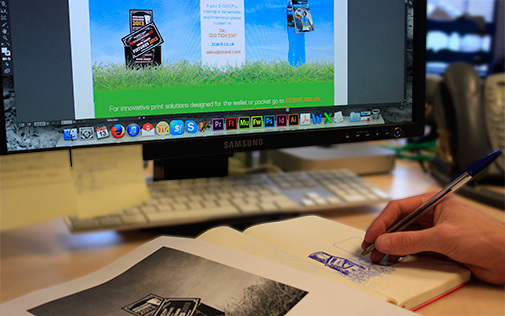 From print through to fully integrated campaigns, we have a solution that fits. 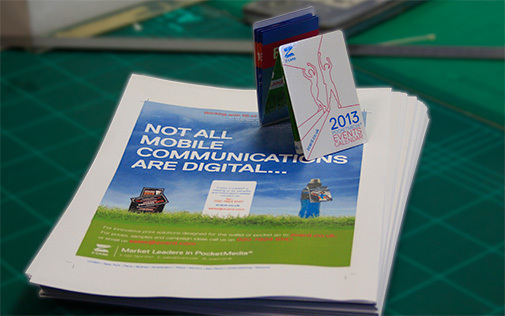 The Z-CARD® design team specialises in creating effective, visually engaging PocketMedia®. We are passionate about successfully communicating your message to your audience, whilst managing your entire project from the brief to the delivery of a tailored campaign solution. Our ability to adapt and our flexible nature means we can shape our services to your needs. Our tailored approach begins with well-informed, researched ideas, and can expand to cover a multitude of disciplines. Creating impactful design crafted with attention to detail and concept-led approach is key to our success. Do you want a mockup? No obligation… We find a picture is worth 1,000 words and a mockup of what your Z-CARD® can look like makes showing colleagues and decision makers your idea much more effective. If you would like us to prepare a mockup for you based upon your current or new materials just ask. You may be unaware of the extensive design services that we provide outside of our traditional PocketMedia® printed products. Z-CARD® design from concept to final print. Working with existing collateral we can build for you. If you have an idea of what you need but are unsure of how to make it work for you, get in touch with our design team today for some practical and time-saving advice.